Our company presents standardized quality chromite ore, which are extensively utilized in various industries for diverse industrial purposes. We manufacture finest quality chrome ore, which can be obtained in different specifications and grades as desired by our esteemed customers. The chrome ore offered by us is 100% pure and is free from any unwanted particles. Besides this, we ensure easy accessibility o four chrome ore at the most reasonable prices. Thus, today, we are reckoned as one of the principal raw chrome ore manufacturers and suppliers in India. 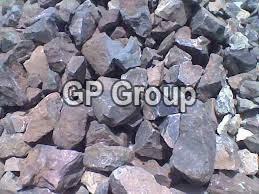 We are pleased to offer you Chrome Ore from Oman ( Muscat ) on C.N.F. basis. We have been exporting Chrome Ore to Lianyungang Port, China, on a regular basis. Quantity: Minimum order 1000 MT. Past BL copy shall be issued after receiving the LOI with Soft probe permission. Port of Destination: Any Port, China. Payment Term: 50% advance on placing order and 50% L.C. * Price Validity: 5th September 2008. Payment Term: 100 % SBL.C. If your in need of grade up to 36% rejection 34% please let us know your quantity required, target price , destination port name.